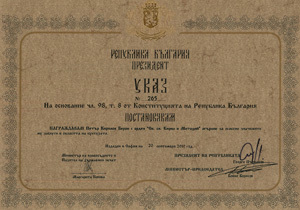 Today, 18 October 2010, at a ceremony in the President's Office, with a Decree No. 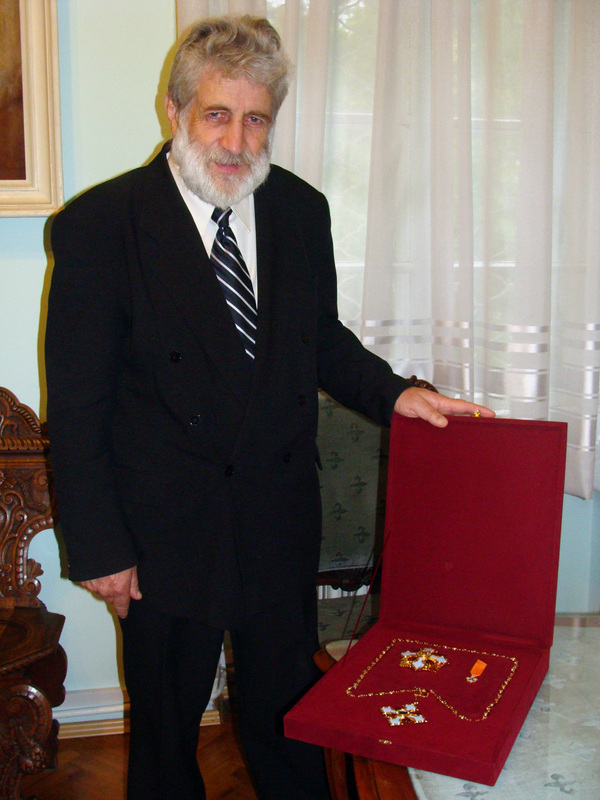 265 of 20.09.2010, Associate Professor Dr Petar Beron was awarded the Order of Saint Cyril and Saint Methodius — necklace, for his significant contributions in the field of culture. 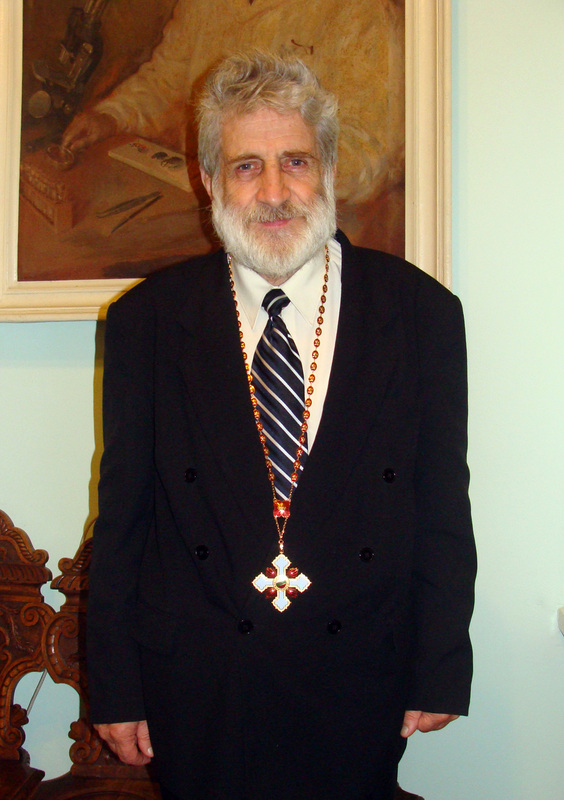 Dr Petar Beron was born on 14 March 1940 in Sofia. In 1963 he graduated Sofia University 'St. 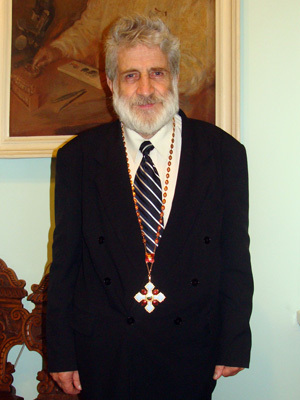 Kliment Ohridski'. Received his PhD in 1975, and in 1978 became Associate Professor. Specialised biospeleology in France (1967) and parasitology in Prague (1970). Was a director of the National Museum of Natural History, Sofia (December 1993 — 11 July 2005, when was elected Member of Parliament). The field of his research includes acarology, arachnology, biospeleology, parasitology, zoogeography. Special interest in the cave fauna, the fauna of high mountains of the world, bats and their ectoparasites, history of zoology, etc. ; creation and maintaining of museum collections and expositions. Was a leader and participant to many expeditions and travels in more than 80 countries in Europe, Asia, Africa, North and South America, New Guinea, etc. From 1976 to 1979 — Conservation Officer in charge of National parks in Nigeria. 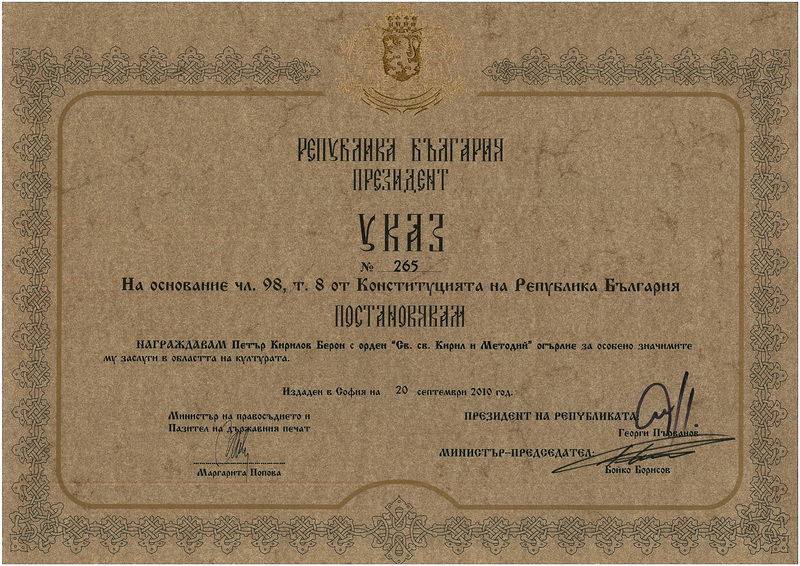 Lecturer in zoogeography (Faculty of Biology, Sofia University) and acarology (University of Plovdiv). President (since 1985) of Bulgarian Federation of Speleology, Member of Parliament (1990—1991 and 2005—2009), Chairman of the Union of Democratic Forces and of it's Parliamentary Group (1990). Vice president of the 40-th National Assembly of the Republic of Bulgaria.